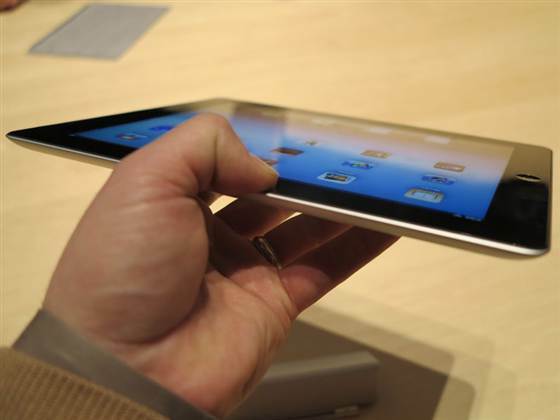 Apple launched its new iPad on Wednesday (Mar 7) starting at $499. But they kept the existing iPad2 beginning model in the line at a reduced price of $399 – smart move. Marketers call this a flanking tactic. Apple protects the $499 price on the new iPad from competition by pre-empting $399 competitors with its own iPad2. Considering the tough time other tablet makers had profitably competing with the $499 iPad 2 the price drop to $399 spells trouble for iPad’s competitors. Does your business just use standard markups or do they have a price to win strategy? Doesn’t the $399 spell trouble for the new $499 iPad as well or are they depending upon the technology-lemmings who absolutely have to buy the latest the second it’s out? Right Jeff. The initial purchasers of the new iPad will consist of what you call technology-lemmings (marketers call them innovators and early adopters), as well as those who have delayed purchasing iPad 2’s waiting for the better features on the new iPad. The $399 iPad2 purchasers will be those waiting for a lower priced iPad and a chunk of those who would otherwise have bought a cheaper tablet from someone else.